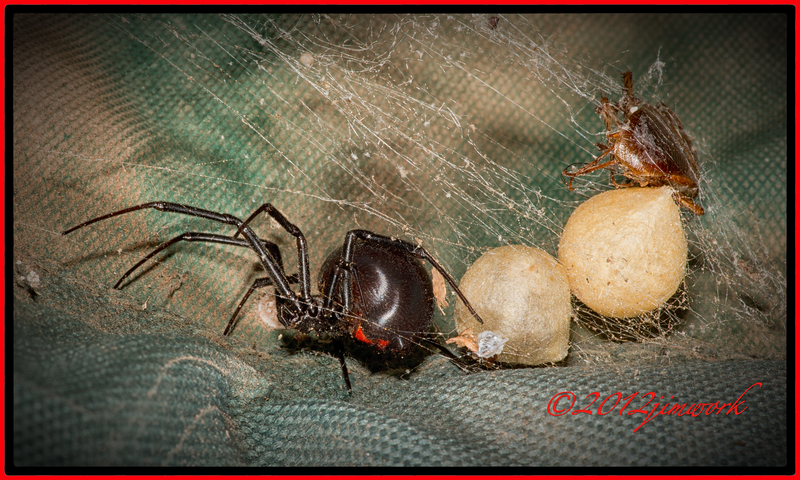 Black widow encounter round 2. Well, I was packing for our upcoming trip to New Mexico, and I had moved my folding lawn chairs to the yard to do a hosing off. Earlier this week I had found a black widow in one of the same chairs. That one did a disappearing act before I got a chance to do but one image. I found another one in the chair as I unfolded it. This one was twice the size of the first one and she had two eggs to watch after. 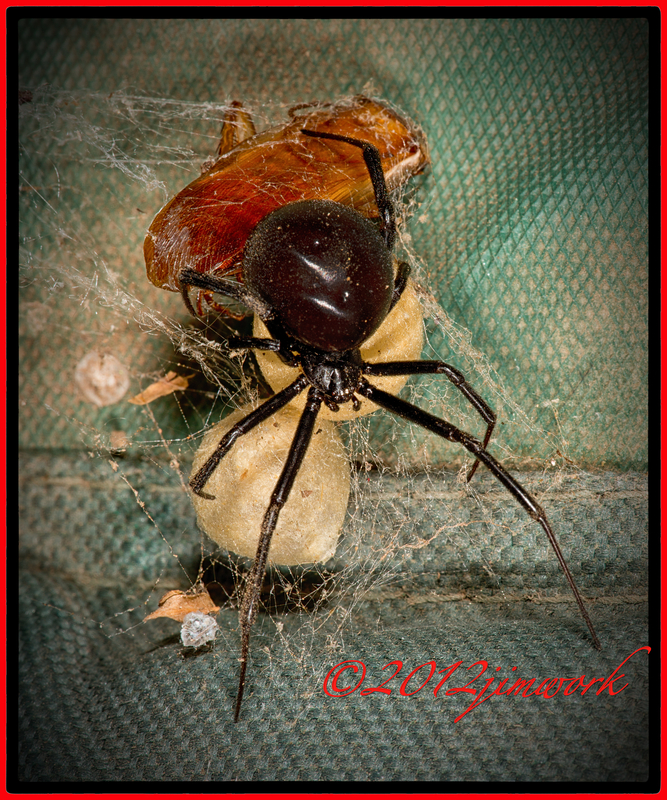 She placed her body over her eggs in a motherly fashion. She was one of the largest specimen I’ve seen. The bulbous body was about 3/8 of an inch in diameter. The brown object appeared to be a freshly killed cockroach. I watched her and made photos for about 30 minutes. At one point she appeared to become agitated and unable to figure out what was going on with the flashes and large object invading her space . She attacked the cockroach and looked to sink her fangs into it as if she thought it might be the cause of the commotion. Glad she didn’t find the true culprit.